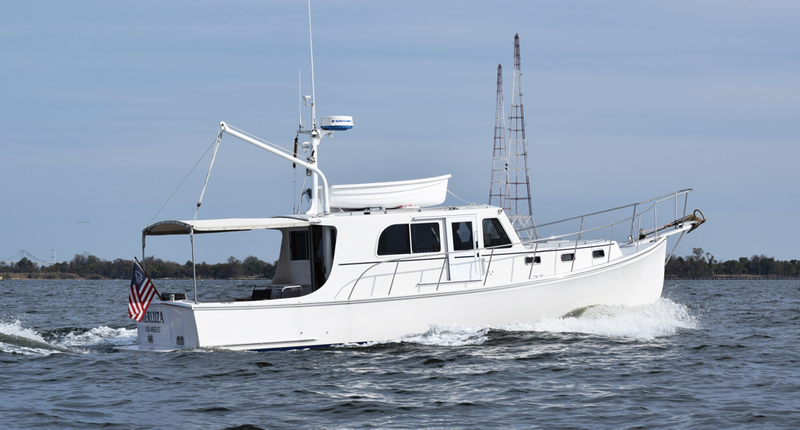 The Captains Patty and Eric Bradley of Los Angeles, California had Merluza built in 1999 for coastal cruising and fishing. 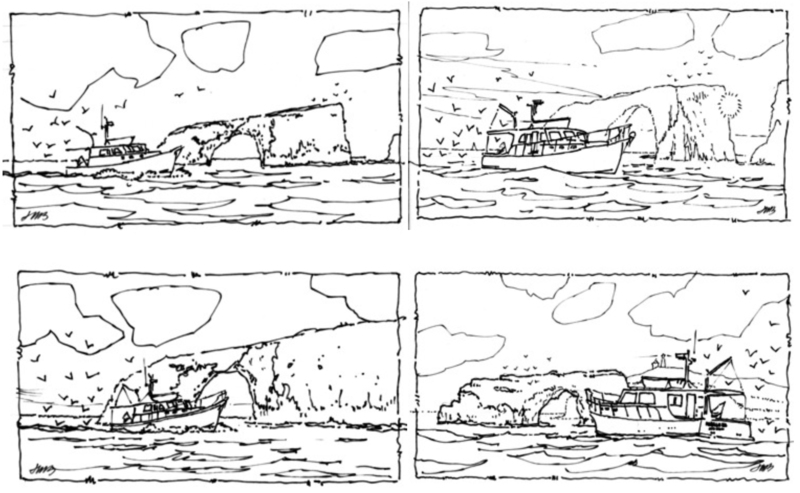 Aboard her they’ve explored the Pacific Coast from San Francisco to Baja California and the Atlantic Coast from the Florida Keys to Maine as well as the Mississippi and Tennessee River and the Great Lakes. She is a Duffy 35 built by the Atlantic Boat Company. 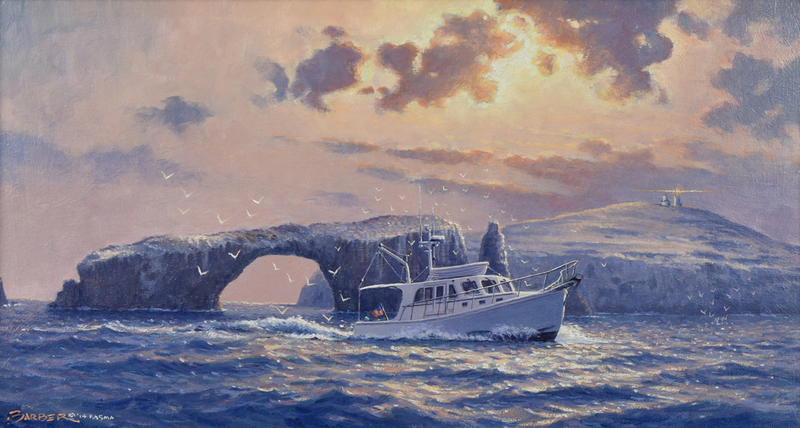 They first saw my artwork last summer at the Deltaville Maritime Museum Retrospective Exhibit and asked that I paint their beloved Merluza at one of their favorite destinations: California’s Channel Islands south of Santa Barbara. 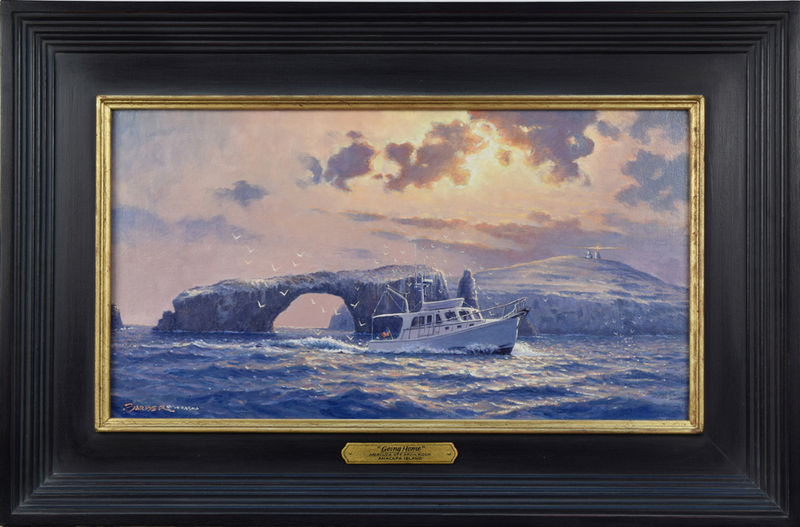 Arch Rock is off the eastern end of Anacapa Island and after a day of fishing in the area, we see the vessel heading back to their homeport on the mainland for the night. Captain Eric Bradley has designed a larger trans-Atlantic custom cruising boat called Southern Passage that is now being built so that the couple can continue their travels to the Mediterranean and beyond.